A chocolate chip cookie is probably the NUMBER 1, favorite cookie of everyone in our family. 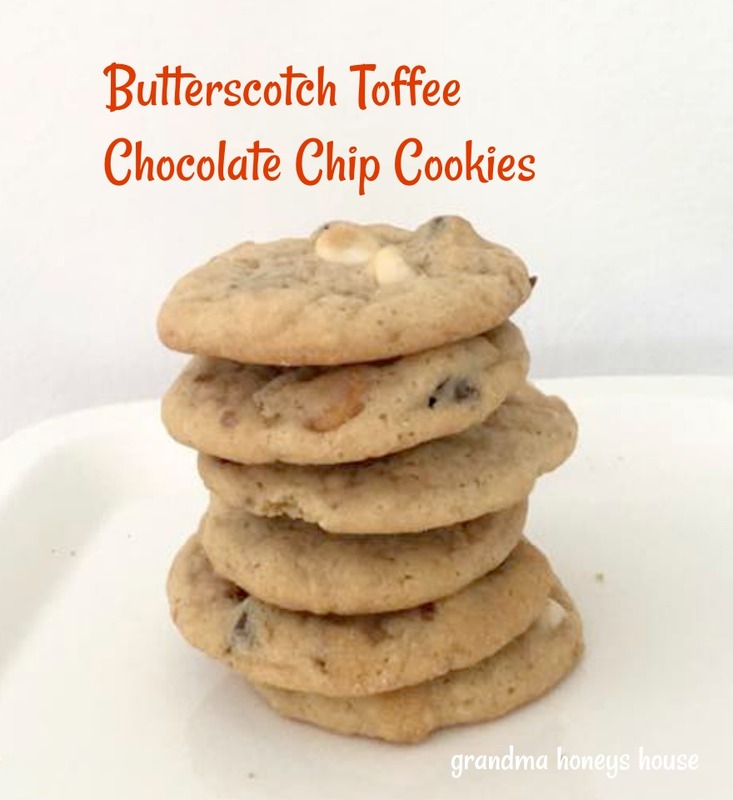 Not only are they delicious eaten as a basic chocolate chip cookie, but they can be used to create other recipes. 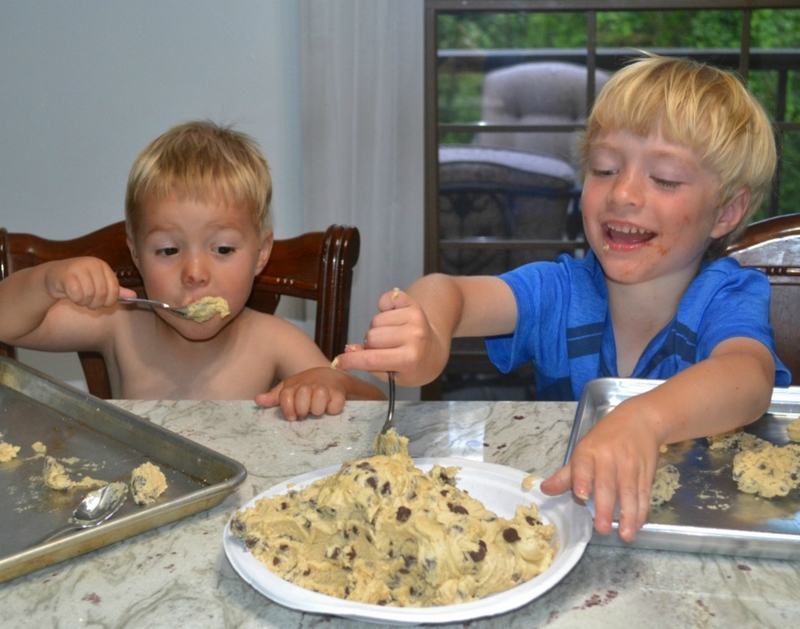 My little grandsons seem to enjoy sneaking a bite of the dough when we are baking cookies. Here is the recipe link for this cookie. Peanut Butter Toffee Chocolate Chip Cookies. HERE is link to recipe. 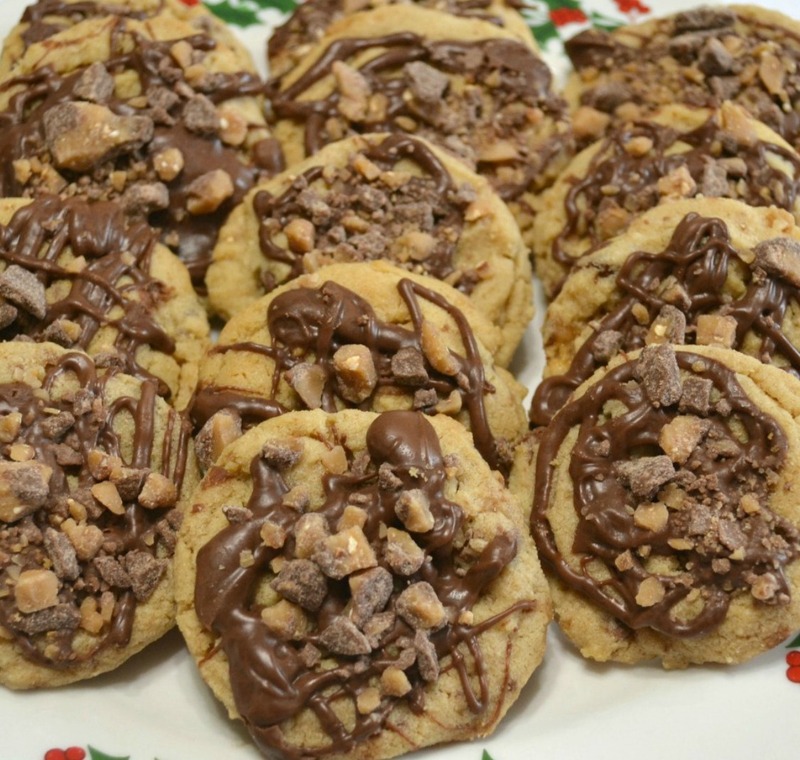 Peanut butter, chocolate chips and toffee bits are amazing together. 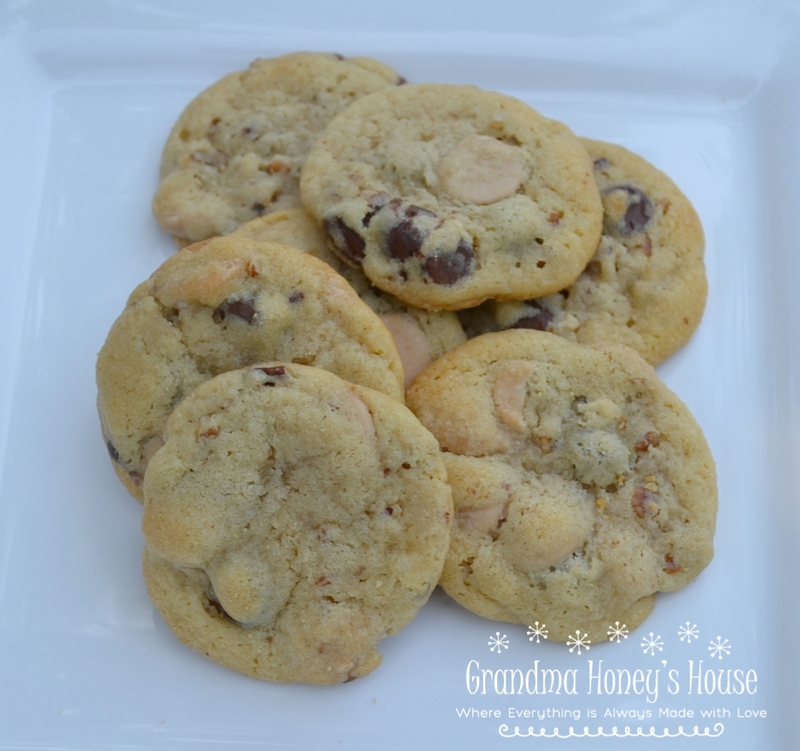 Caramel Pecan Chocolate Chip Cookies are one of my newest recipe creations. I found the new caramel baking chips and tried them, They are so delicious with no artificial after taste. HERE is recipe link. 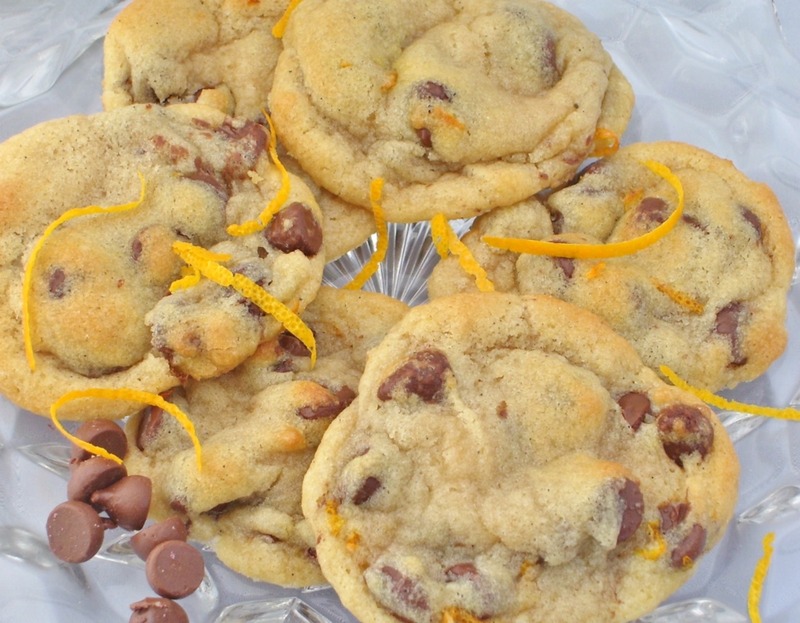 Zesty Orange Chocolate Chip Cookies. 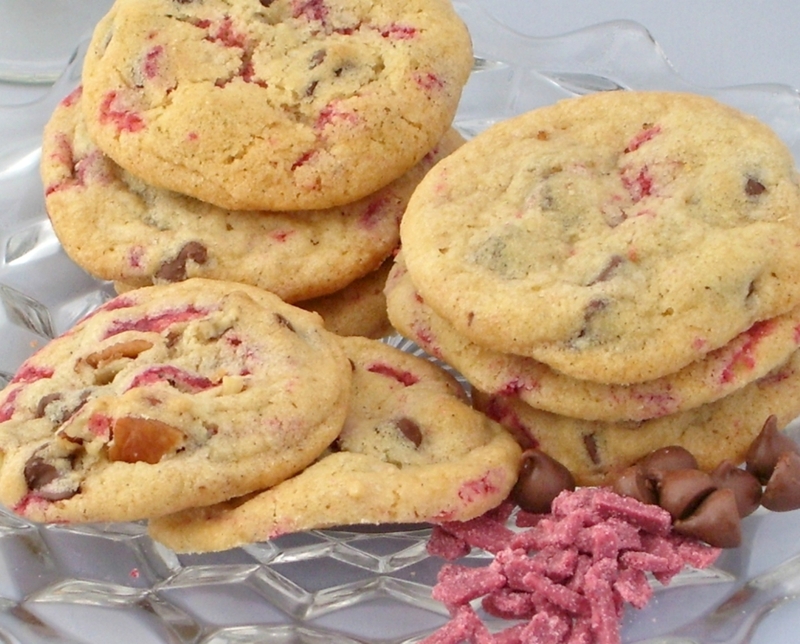 Mix up the Toll House recipe, adding 1 cup of chocolate chips, 1 cup raspberry chips, and 1/2 cup chopped pecans. Chocolate Chip Mini Sandwich Cookies. 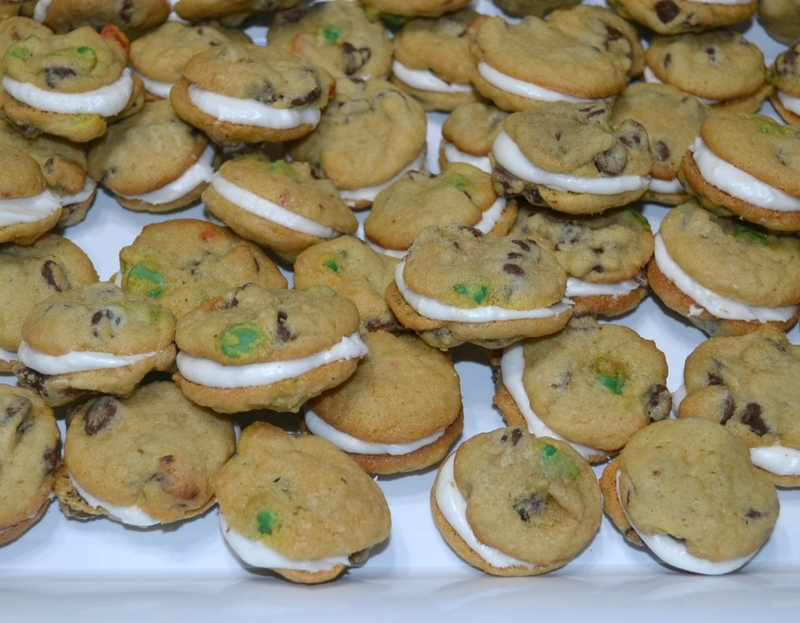 I made these at Christmas by adding mini red & green M&M’s to the cookie dough. I used my small cookie scoop for a dough ball, and then cut each one in half to bake. The filling in the center was the leftover icing I had from my decorated sugar cookies. You could use any icing for the filling. My grandkids loved these! 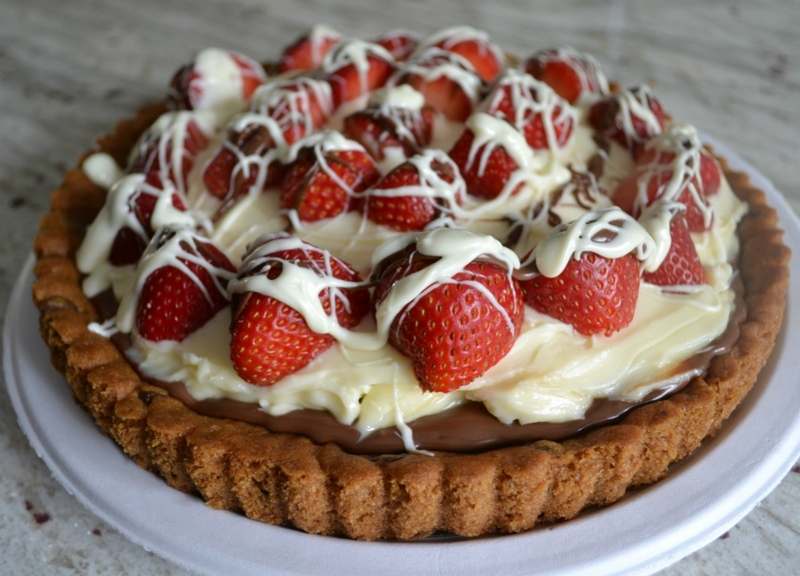 Chocolate Chip cookie dough can also be used as a base for dessert tart. In 2014, I was a finalist at the Pillsbury Bake-off Contest. My recipe used a roll of Pillsbury Refrigerated Chocolate Chip Cookie Dough for the crust. Click here for recipe. 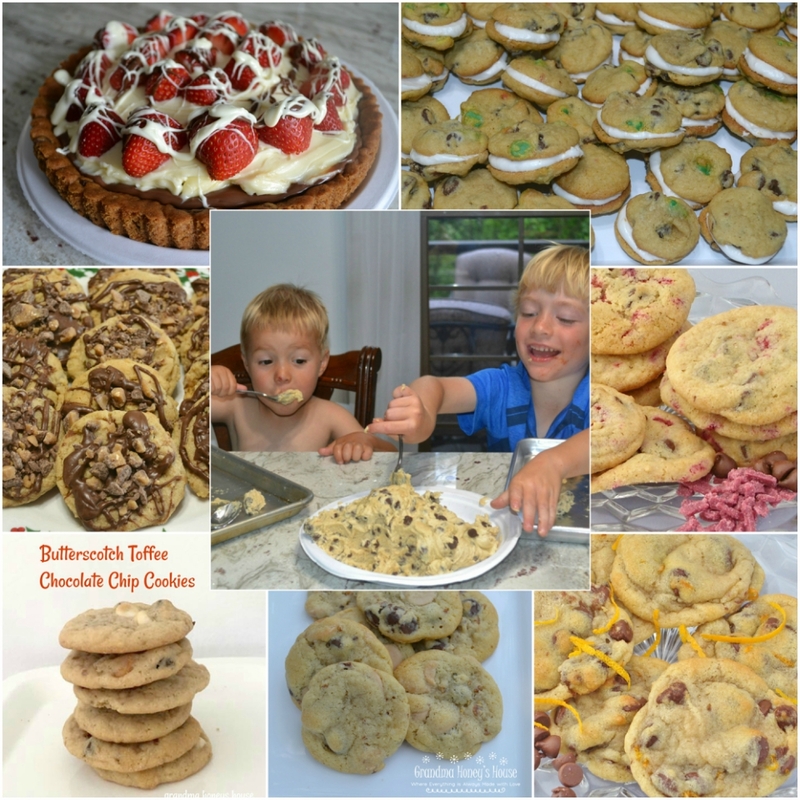 I hope that you enjoy these recipes for my 7 Must Have Chocolate Chip Cookie Recipes, as well as have gotten some new ideas to create some others. Please share if you do! My favorite cookies are choc chip! Gotta save this post for sure! Thank you. It seems like there are just so many little things you can add to chocolate chip cookies to make a new variety, but I actually just love original chocolate chip cookies.